The workshop was organized and co-sponsored by UNDP and APF in cooperation with APCOM. 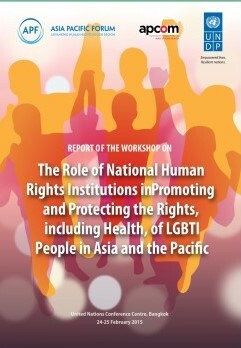 This report documents the presentations and discussions made during the Workshop on the Role of National Human Rights Institutions (NHRIs) in Promoting and Protecting the Rights, including Health, of Lesbian, Gay, Bisexual, Transgender and Intersex (LGBTI) People in Asia and the Pacific held from 24-25 February 2015 at the United Nations Conference Centre in Bangkok, Thailand. 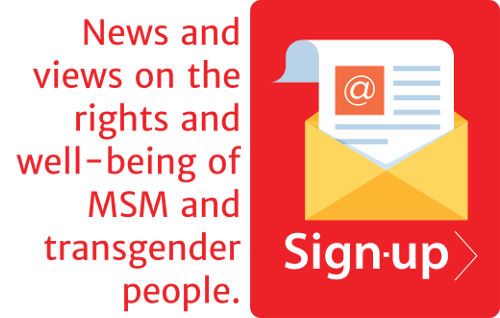 The workshop was organized and co-sponsored by the United Nations Development Programme (UNDP) and the Asia Pacific Forum of National Human Rights Institutions (APF) in cooperation with the Asia Pacific Coalition on Male Sexual Health (APCOM).